''The Australian Religious Response to Climate Change (ARRCC) is a member-based organisation which, for ten years, has been mobilising faith communities across Australia to act on global warming. As volunteers working shoulder-to-shoulder across faith traditions, we believe we all share a sacred duty to protect our beautiful Earth from climate damage, before it’s too late. With 60% of Australians identifying with a faith tradition, we have the potential to achieve a critical mass of active citizens to address what we see as a climate emergency. ARRCC has been at the forefront of leading people of faith to step up, speak out and take action. Right now, our main focus is stopping Adani’s enormous, Reef-wrecking, climate-wrecking Carmichael coal mine in Queensland’s north. With our membership growing and a big job to do, relying solely on volunteers was always going to limit our impact. We decided to hire a skilled and dedicated community organizer in Melbourne. Angela Merriam proved to be amazing. Working just one day a week for seven months, Angela Merriam held a training day for people of faith, organised a sit-in and then a meeting with the Environment Minister, brought faith leaders together in common actions and promoted climate change action kits for various faith communities. When she went on leave, another experienced climate activist, Tejopala Rawls, took up the role. He wrote for The Guardian, mobilised volunteers and organised a Stop Adani event on the National Day of Action. He is determined to lead people of faith in the urgent task of stopping Adani’s mega-mine. Both these organisers have proved invaluable. Now we’d like to pay both of them 1 – 2 days a week each to work together as a team for at least the next 5 months. 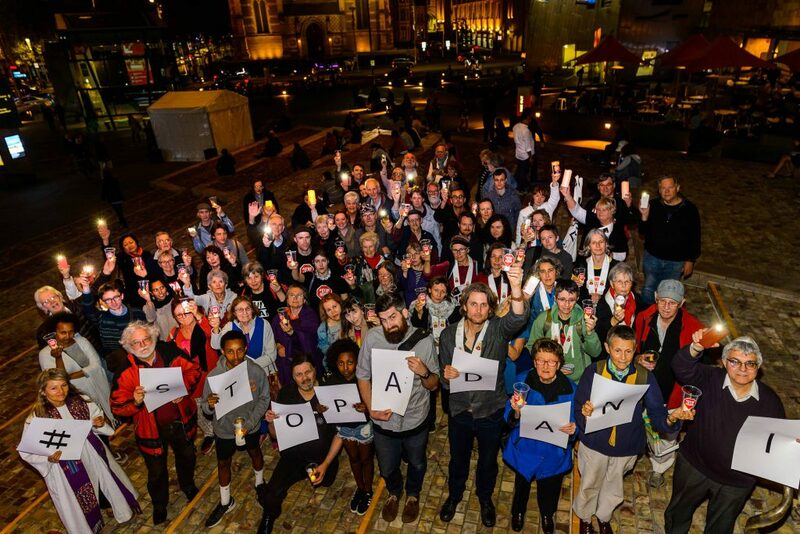 At this critical time in the Stop Adani campaign, this would help us with our goal of creating a tipping point among Australia’s faith communities against Adani.